Disclaimer and Copy Rights - De website van vintageflightfoundation! All content and images used on this site are owned or licensed by the Vintage Flight Foundation or its affiliates (e.g. 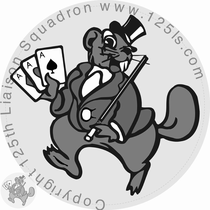 125th Liaison Squadron) for use on this site only. Unauthorized use is prohibited. This site contains information concerning the Vintage Flight Foundation and its affiliates such as the 125th Liaison Squadron that may be useful to members of the general public. However, by using this site you are accepting all of the terms of this disclaimer notice, including exclusions and limitations of liability. If you do not agree with anything in this notice, you should not use this website. While reasonable efforts are made to ensure that the contents of this site are accurate, this site and its contents are provided on an “as is,” “as available” basis, without warranties of any kind, including any warranty that the site will be kept up to date, be true and not misleading, or that the site will always (or ever) be available for use. The Vintage Flight Foundation and its affiliates disclaim all warranties, express or implied, with respect to the site and its contents, including, without limitation, any warranties of accuracy, completeness, timeliness, non-infringement, title, merchantability, or fitness for a particular purpose. Because some jurisdictions do not permit the exclusion of certain warranties, these exclusions may not apply to you. The Vintage Flight Foundation and its affiliates do not warrant that the servers that make this site available will be error-, virus-, worm-, or bug-free and you accept that it is your responsibility to make adequate provision for protection against such threats. In no event will the Vintage Flight Foundation or its affiliates be liable for any incidental, indirect, consequential, or special damages of any kind, or any damages whatsoever, including, without limitation, those resulting from loss of profits, contracts, goodwill, data, information, income, anticipated savings, or business relationships, whether or not the Vintage Flight Foundation or its affiliates have been advised of the possibility of such damage, arising out of or in connection with the use of this site or its contents or any other sites linked to this site.